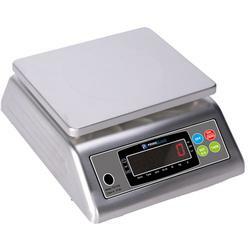 PS-FSS is an ideal washdown scale for foodservice applications. It can also be used in laboratories and schools. It comes with multiple units: lb, lb+oz, kg and g. It also have parts counting function. 12" x 12" x 4.5" 12" x 12" x 4.5" 12" x 12" x 4.5" 12" x 12" x 4.5"